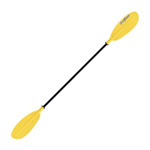 Paddles for use with Sea and Touring Kayaks. Generally these paddles are in the 210cm- 220cm length range and are designed for paddling over long distance with ease. The Werner Tybee features a mid size sea kayak paddle with nylon blades and glass fibre shaft. 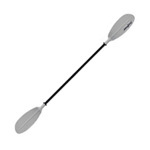 Sea kayak paddle that offers a great compromise between power and efficiency for longer distance paddles. The Corryvrecken is a large high angle blade which gives you extra power for faster paddling. Featuring mid sized low angle blades, the Camano is great for touring and for sit on top kayaking. Featuring mid size high angle blades and a foam cored blade construction for an effortless paddling stroke. Bournemouth Canoes are able to supply the whole Werner paddles range, below are some of the paddles we are able to order in at request. If you can't see the paddle you are looking for please call us on 01202 625256 for information on ordering. A powerful, large surface area high angle blade, with a foam core. Ideally sutied for well conditioned paddlers. The small surface, low angle blades. 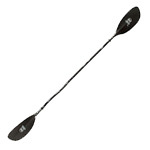 Ideal for smaller paddlers who want a blade for effortless paddling all day. 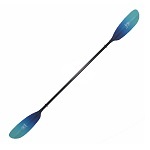 A mid size low angle blade featuring Werner's buoyant foam core blades for effortless paddling.